Prototype: Henschel class DHG 500 diesel switch engine. Model: The locomotive comes in a special paint scheme. It has a digital decoder and a special motor. 1 axle powered. Traction tires. The triple headlights change over with the direction of travel, will work in conventional operation, and can be controlled digitally. The locomotive has coupler hooks. Length over the buffers 11.2 cm / 4-3/8". 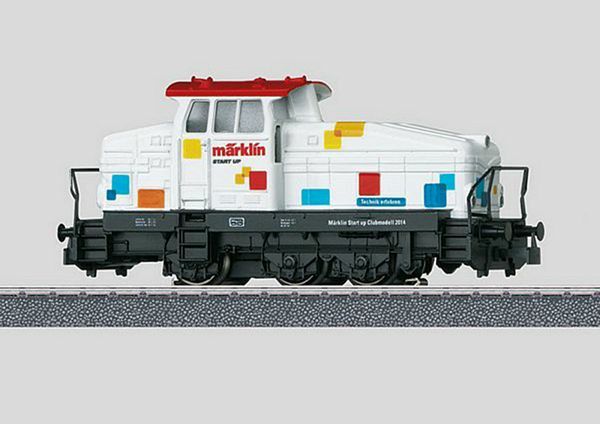 Annual model for members of the Märklin Start up Club and for Märklin Insiders.